I enjoy finding connections and meaning in the world around me. My friends and colleagues know I’m a fan of journaling and self-reflection is my go to pedagogy. As the chapters of our life change and unfold, we find new ways to make sense of it all. For instance, in grad school, I grew tired of journaling because I was writing paper after paper and just lost the joy in it. I gravitated towards verbal reflection over coffee or tacos with friends or through heated class discussions. I still wrote down the significant things I was learning because I wanted to look back on them later, but writing became more of a daunting task during those two years. When something is no longer fun, we tend to drop it and in my opinion, we should. Why do something you don’t care a whole lot about? Regardless, I knew I was changing and growing at a rapid pace and I wanted to slow down to internalize the revelations and epiphanies. I have intense FOMO (fear of missing out), even when it comes to my own learning. I’m like a sponge- I want to soak it all up and take a million notes about it. The more I can absorb and collect, the better. Sometimes that worked in my favor, but other times I was missing out on the learning in the moment. I often needed to just get it down on paper, so I could think about it later, but sometimes the later never came. I felt this pressure to know all, do all, and be all (and still do sometimes). My strategy was to read as much as I could, attentively watch others, and write down the nuggets of information I thought were important (which was usually all of it). This has led me to collecting a whole bunch of paper, journals, notepads, and even files upon files in Google Drive. I rarely look back through it all, but I know it is there (somewhere). When we move through each stage and experience at record pace and hoard the information, it loses its value. We’re trying to get through it instead of really know it and become it. Each day can teach us a lot- I would even argue each moment. We just have to seek it out and know it is there. Sure, we can store it away in a colorful folder or another binder, but wouldn’t we learn much more if we paused to think about it when it happens? This is how we increase our self-awareness and emotional intelligence. We don’t have to stop what we are doing and insist on writing a few paragraphs about it, but we can just acknowledge it and fold it into our day, our practice, our relationships, our life. Like my friend, Lara Casey, puts it: “It’s okay to grow slow.” Give yourself the permission to live your life with intention and purpose. So, yoga. Yoga has become one large metaphor for my life. 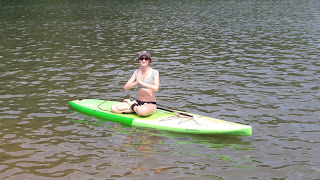 I have found ways (or been shown by incredible teachers) to connect my practice of yoga from the small mat I sweat on to the big world I live in. It doesn’t happen every single time and I can’t bring a journal in the room to document it all. I have to surrender the control- the tight grip I have over the now and the next, and just flow. Yoga is practiced with open hands and the same should be true for life. When we clench our fists or refuse to soften, we trick ourselves into thinking we are safe from harm and we try to become masters of our own fate. We put up barriers (sometimes even from our own selves) and we induce obstacles that our minds have to later fight twice as hard to overcome. We find coping strategies to navigate life in this rigid way, but we lack resiliency and true connection with ourselves and others. The vulnerability is not present and we get lost. Yoga has brought me back. It has been a slow process. Key word: process. Sometimes I encounter the same theme for weeks before something new reveals itself and that’s perfectly fine. Sometimes I just want to get in a good workout, the physical kind, but most days I recognize the need for spiritual and mental rejuvenation. Several different studies within a variety of contexts have shown that for every negative interaction or thought it takes three to five positive experiences to counter the one. We live in a harsh world. Kindness is something we learned in 2nd grade, but we have since had many other things to think about and store in our brains. The kind thoughts have a hard time shining through or in. Yoga has challenged me to create this kindness on my mat for myself and the charge at the end of the practice is to take it out into the world. In summary, yoga is teaching me not only how to love others, but how to love myself. So, metaphors. Maybe yoga is not the one that speaks to you, but what does? What metaphor has allowed you to learn in an incredibly real, relevant way? What guides you through this life? What is serving as your bridge, making the harder concepts easier to grasp? Maybe you have never thought of metaphors as a way for deeper connection and reflection, but think of how they could help your students make meaning of their college experience. First, we have to build a relationship with our students and know them well enough to naturally infuse these concepts into our advising. Then, we ask more targeted questions, such as “what are you learning in your biology lab that you have been able to use in your student organization or on your soccer team?” or “how did that alternative spring break experience deepen your relationships with your roommates” or “what challenges are you facing in your internship and how have your past experiences informed new solutions?” The possibilities are limitless. While I would love for all my students to naturally make these connections and pursue introspection, they sometimes need a little help and I’m more than happy to be the bridge.